Normally, we are aware that our arms and legs belong to us and not to someone else. When we move our limbs, we are aware that our limbs are moving, and when we are resting, we are aware that our limbs are not moving. This self-awareness or self-ownership of our bodies and our agency allows us to distinguish our bodies from the bodies of other people and to identify our actions as different from the actions of others. It seems strange, therefore, when Rene Descartes says that he could doubt the existence of his body, and therefore the reality of his body as his was not part of his self-evident sense of his own existence as a thinking being without a body. But, amazingly, there really are people who are not self-aware of their arms and legs or of the movement of their limbs as belonging to them. They look at one of their arms or legs, and they think this is someone else's limb (Karnath and Baier 2010a, 2010b). Oliver Sacks tells the story of a man who woke up in a hospital bed, and when he moved, he felt someone's leg in his bed. He thought the nurses were playing a cruel joke on him by putting a severed leg in his bed while he slept. He threw the leg out of the bed. But when he did this, he somehow came after it. Falling on the floor, he was shocked to discover that the leg was attached to his body. He began punching the leg and trying to tear it from his body. When Sacks arrived, he told the man he shouldn't be punching the leg like that. "And why not?" the man exclaimed. "Because it's your leg," Sacks answered. "Don't you know your own leg?" The man insisted that this was not his leg. Sacks then asked him, "If this is not your left leg, then where is your own left leg?" The man turned pale. "I don't know," he said. "I have no idea. It's disappeared. It's gone. It's nowhere to be found . . ." (Sacks 1985, 53-55). One possible explanation for this man's condition is that he had suffered damage to the right insular cortex of his brain, causing weakness or paralysis on the left side of his body (hemiparesis or hemiplegia), and that he had lost his self-awareness of his left leg as belonging to him (Ibanez et al., 2010; Karnath and Baier 2010a, 2010b). The insular cortex is a crucial part of the neural network of the brain that supports self-awareness and self-ownership of one's body and the social emotions in which concern for oneself is extended to concern for others. In understanding this, social neuroscience provides the evolved biological ground in the brain for what John Locke identified as human self-ownership or self-concern that is extended to concern for others in mammalian animals like humans. Locke asserts: "Though the Earth, and all inferior Creatures be common to all Men, yet every Man has a Property in his own Person. This no Body has any Right to but himself" (ST, sec. 27). "From all which is evident, that though the things of Nature are given in common, yet Man (by being Master of himself, and Proprietor of his own Person, and the Actions or Labour of it) had still in himself the great foundation of Property" (ST, sec. 44). In his Essay Concerning Human Understanding, Locke identifies a "person" or "self" as "a thinking intelligent being, that has reason and reflection, and can consider itself as itself, the same thinking thing, in different times and places." All the parts of a human body are vitally united to this thinking self, "so that we feel when they are touched, and are affected by, and conscious of good or harm that happens to them, are a part of ourselves; i.e. of our thinking conscious self." Consequently, "the limbs of his body are to every one a part of himself; he sympathizes and is concerned for them." "Self is that conscious thinking thing . . . which is sensible or conscious of pleasure and pain, capable of happiness or misery, and so is concerned for itself, as far as that consciousness extends. Thus every one finds that, whilst comprehended under that consciousness, the little finger is as much a part of himself as what is most so" (Locke 1959, II.xxvii.9, 11, 17). Human beings have natural rights to life, liberty, and property, therefore, because they own themselves and thus rightly claim autonomous control of their lives. And yet, as social mammals who naturally come together in families for sexual mating, conjugal bonding, and parental care of offspring, human beings are naturally inclined to extend their care for themselves to care for others to whom they are attached (FT, secs. 86-89; ST, secs. 54-56, 77-84). A. D. (Bud) Craig has traced out the fundamental neuroanatomical basis for all human emotions, and he has argued that this shows how the neural substrates for human self-awareness or consciousness are based on the neural representation of the physiological state (the homeostasis) of one's body. This manifests the embodiment of emotional self-consciousness. In particular, he argues that there is a phylogenetically novel sensory pathway in primates, most fully developed in human beings, that provides for a self-conscious integration of the physiological condition of the body (the material "self") with one's sensory environment, with one's motivational condition, and with one's social situation in the anterior insular cortex (AIC) (Craig 2002; 2003; 2008; 2009; 2010a; 2010b). The evolution of mammalian social behavior depends on the evolution of pain or "negative affect," which includes pain, fear, panic, and anxiety. In all vertebrates, fear and pain are represented in the brainstem and hypothalamus as signals to elicit self-preserving behavior. In mammalian evolution, these neural mechanisms are modified so that animals care for their offspring as well as themselves. This includes modifying the cortex of the mammalian brain to elaborate the representation of pain to include anxiety tied to separation from or threat to loved ones. Craig's research clarifies this neural evolution of pain by classifying pain as a homeostatic emotion rather than as a sensation of touch. Pain belongs to "interoception"--the sense of the physiological condition of the body--and it is therefore part of the evolved mechanisms for self-preservation. The insular cortex receives signals from all the tissues of the body, and these signals are integrated with physical and social stimuli from outside the body and with the memory of past experiences as well as imaginative projections of future experiences. This supports a general awareness of the body's condition in space and time. The anterior cingulate cortex (ACC) can then be activated to motivate behavior to correct whatever is wrong. This neural processing mechanism seems to be unique to primates, but it's more highly developed in human beings. Both the insular cortex and the ACC respond not only to physical pain from bodily injury but also social pain from social injury. It seems that in mammalian evolution, the neural circuitry for physical pain was appropriated for registering social pain in animals adapted for social attachment. Mammals must care for the survival and well-being not only of themselves but of others to whom they are attached. Extending the neural mechanisms originally evolved for individual self-preservation to include the welfare of offspring and social partners secures mammalian social order. The uniquely human evolution of the neocortex elaborates this mammalian development to sustain human love and concern for others. When we use the language of physical pain to describe our social pain ("a broken heart"), we recognize the embodiment of our natural social consciousness, in which our mind, our brain, our body, and our social life are inseparably intertwined. The anterior insular cortex (AIC) is involved not only in interoceptive self-awareness but also in the social emotions that support cooperation and fairness (Lamm and Singer 2010). Observing pain in others activates parts of the neural network that are also activated when we experience pain in ourselves. Empathy for the pain of others activates the most anterior parts of the AIC, which overlaps with activation related to pain experienced in oneself. But the activation associated with the experience of pain in oneself encompasses a much larger portion of the insula (including the middle and posterior insular cortex). To some degree, then, the neural activity for self-concern is extended to concern for others. But still our self-concern is distinguished from our concern for others. Brain imaging studies of people playing the Ultimatum Game suggest that a sense of fairness is supported by the AIC and other parts of the brain associated with social emotions, because these neural networks are activated when players decide to defect against unfair but not fair players (Sanfey et al. 2003). This does not happen when the unfair players are computers, because the human players don't see the computers as intentional agents who can be rightly blamed and punished for their unfairness. And thus the AIC is part of a neural network supporting feelings of care and concern for oneself and for others and their welfare that sustains the sense of justice that Locke identifies as "the law of nature" enforced by "the natural executive power of the state of nature" for punishing those who violate that natural law. Craig, 2008. "Interoception and Emotion: A Neuroanatomical Perspective," In Handbook of Emotions, 3rd ed., edited by Michael Lewis, Jeannette Haviland-Jones, and Lisa Barrett, 272-288. New York: Guilford. Craig. 2009. "How Do You Feel--Now? 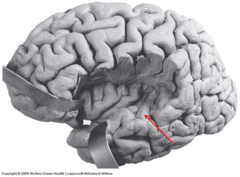 The Anterior Insula and Human Awareness," Nature Reviews Neuroscience 10: 59-70. Craig. 2010a. "The Sentient Self." Brain Structure and Function 214: 563-577. Craig. 2010b. "The Insular Cortex and Subjective Awareness." In George Prigatano, ed., Advances in the Study of Anosognosia, 63-87. New York: Oxford University Press. Ibanez, Agustin, Ezequiel Gleichgerricht, and Facundo Manes. 2010. "Clinical Effects of Insular Damage in Humans." Brain Structure and Function 214:397-410. Karnath, Hans-Otto, and Bernard Baier. 2010b. “Anosognosia for Hemiparesis and Hemiplegia: Disturbed Sense of Agency and Body Ownership.” In George P. Prigatano, ed., Advances in the Study of Anosognosia, 39-62. New York: Oxford University Press. Lamm, Claus, and Tania Singer. 2010. "The Role of Anterior Insular Cortex in Social Emotions." Brain Structure and Function 214:579-591. Sacks, Oliver. 1985. The Man Who Mistook His Wife for a Hat, and Other Clinical Tales. New York: Summit Books. Sanfey, A.G., Rilling, J.K., Aronson, J.A., Nystrom, L.E., and Cohen, J.D. 2003. "The Neural Basis of Economic Decision-Making in the Ultimatum Game." Science 300: 1755-1758. Other posts on these themes can be found here, here, and here. The deep connection between the body and the sense of the self and its relation to the world is a central theme of existential-phenomenological philosophy. See for instance Merleau-Ponty's book The Phenenology of Perception.